Here at Socialbrite, we’re always looking for sterling examples of how the corporate sector is contributing in genuine ways to the social good. Those bridges between the for-profit and nonprofit/social good sectors are becoming increasingly vital. 1.Over the years, Molson Coors Canada has used CSR to advance its brand — and is one of the few major corporations to take advantage of social media in doing so. (Shel Israel wrote about Molson in his book Twitterville.) As Beth mentioned yesterday, Molson Coors invests more in responsible drinking education than on alcohol-centered events. 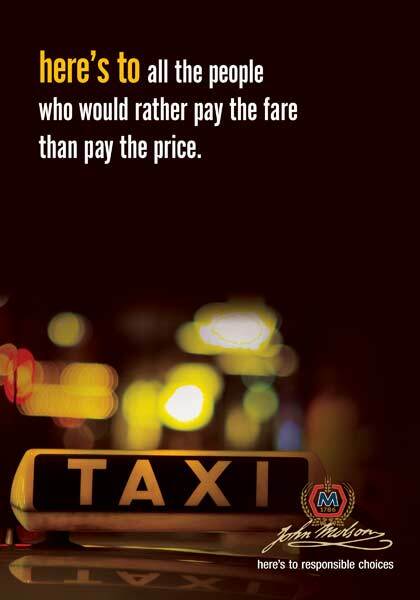 Molson reaches out to the community to find ways to spread the message of responsible drinking, putting money behind the TaxiGuy program (for those who’ve had one too many) and covering the cost of free public transit on New Year’s Eve. Shel recounts the story of the holiday season of 2008 when the Toronto Transit Authority canceled its New Year’s Eve free-ride transportation because of budget cuts. Molson stepped in and launched a campaign to replace public funding with private sector donations, starting with its own $20,000 donation. Molson has a small social media team led by Ferg Devins, who is not only responsible for selling beer but for outreach to communities in need. The team uses Twitter and blogging to initiate community generosity projects. 2.Tyson Foods offers another example of a major company tying its corporate social responsibility efforts to its core mission. Tyson has committed its brand to efforts to relieve and ultimately end childhood hunger, and in the past few years been integrating social media into its hunger relief efforts. Tyson connected with the Social Media Club and began a string of extraordinarily smart and effective efforts to enlist the community. For example, it launched a campaign in Austin in which it agreed to donate 100 pounds of chicken to the Capital Area Food Bank of Texas for every comment posted on its blog. They received 658 comments in two hours and loaded up two trucks filled with chicken for the hungry, Beth said. They repeated the success in Boston and San Francisco, launched a user-generated video contest in Minnesota and sponsored a day of service for its social media team.